People who stop breathing while they are sleeping affect over 18 million Americans, which is about 5-10% of adults and 2-3% of children. When you stop breathing for at 10 seconds at a time that is considered sleep apnea. 10 seconds may not seem like a long time but it really is a long time and especially if you do this multiple times per night. If you stop breathing for at least 10 seconds more than five times an hour during sleep that is considered sleep apnea and can dramatically affect your overall health. When you are awake, the muscles of your throat keep the airway straight and open so air can flow in and out of your lungs. When you sleep, these same muscles relax and your throat gets narrower. Normally, this does not close the airway; it will just slow down your breathing during sleep. When there is sleep apnea involved, it means there is either a blockage of the airway or your brain stops telling your lungs to breath. Then your throat muscles fail to keep the airway open so air can’t flow in or out of the lungs and you stop breathing (apnea). Obstructive sleep apnea is the most common sleep disorder and this is where an actual blockage which causes physical narrowing or closing of the throat. Even though your body may be making an effort to breathe, oxygen can no longer get inside of your body. This can be attributed to your anatomies such as very large tonsils or a large tongue that obstructs the airway. It can also be the shape of the roof of your mouth, the bone structure of your head and neck, or and how narrow the area is or because there is too much tissue in the throat and windpipe. These types of anatomy make it harder for the throat muscles to keep the windpipe open or can create blockages when you sleep. Being overweight or having a BMI over 30 doesn’t necessarily mean you will definitely develop sleep apnea even though that can contribute to it because people of all weights can get sleep apnea, even small children. When you stop breathing in your sleep there is usually a loud snorting, choking or gasping sound. After this pause in breathing, your heart rate slows down in order to use all the oxygen too quickly because now there is a limited amount in the body. Some anti-anxiety medications, sleeping pills, and alcohol can relax your muscles and make sleep apnea worse because they can help the throat muscles collapse and close the airway. It can be a vicious cycle where you are exhausted during the day from stopping breathing during the night so they take sleeping pills. They take the sleeping pills to get a better night of sleep and unknowingly make the apnea significantly worse. When you stop breathing frequently through the night, this prevents you from entering the sleep stages you need for your body to get the restorative sleep you need. If you are excessively sleepy during the day, contact us today! American Sleep Centers has staff members who are serious about sleep and experts in sleep. 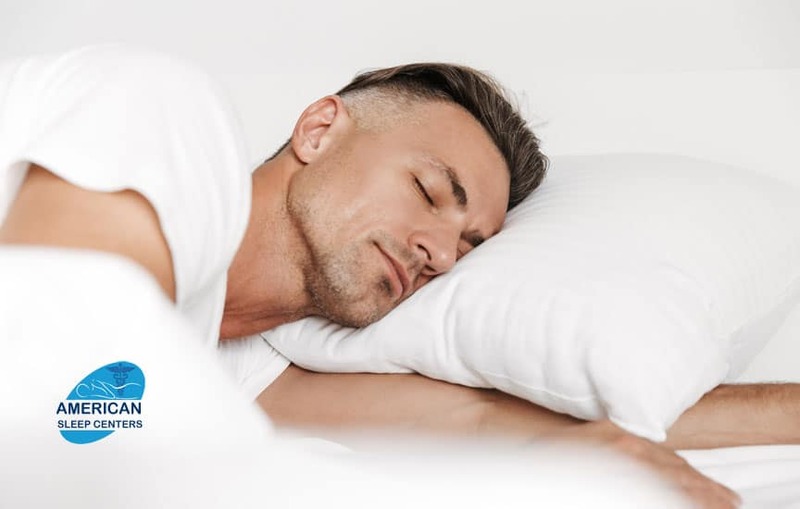 If you are “Dreaming of a Good Night Sleep,” you will experience comfort and convenience with either our in-lab or in-home sleep studies and PAP therapy devices. All we do at American Sleep Centers is SLEEP and we offer sleep testing and therapy customized to your needs and preference with our specialized doctors and technicians.